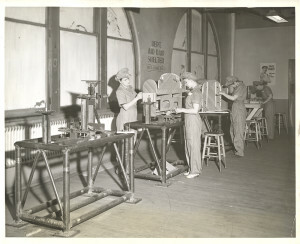 The H. J. Heinz Company Photographs depict the company’s Pittsburgh plant and its employees, products, displays, and equipment. 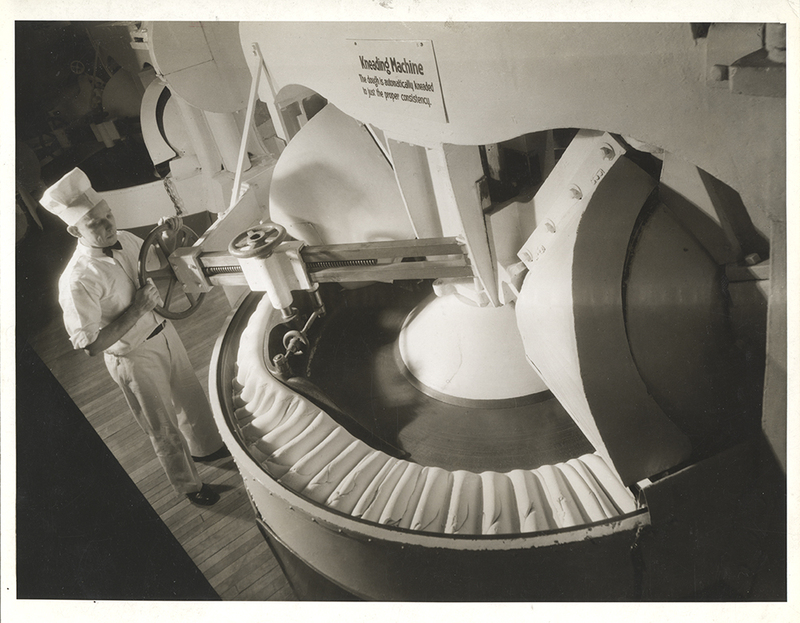 The photographs, which date chiefly between 1940 and 1975, were created by the company’s Public Relations Department for internal use. 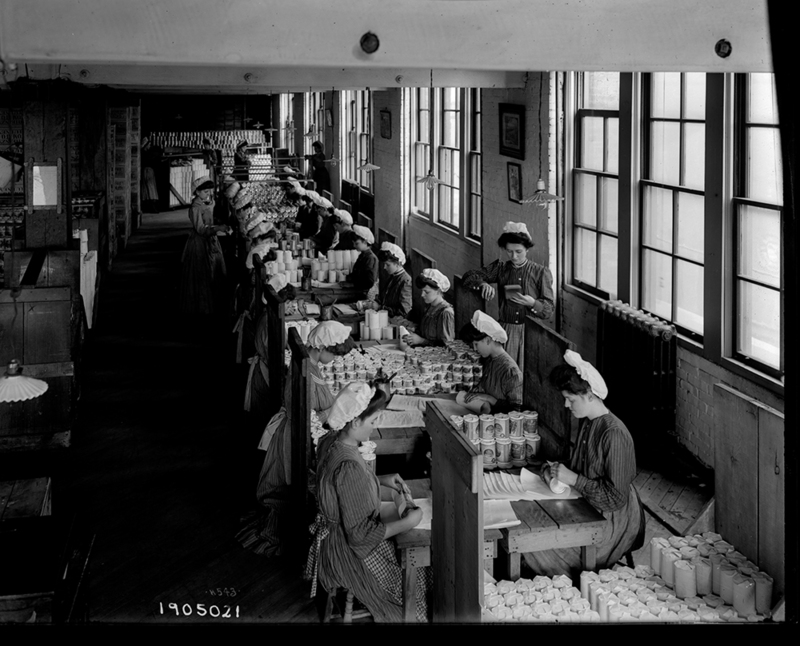 The earliest images in the collection (1864-1920) depict interior and exterior views of the Heinz plant, including processing, canning, packaging and shipping facilities, stables, and employee leisure areas. 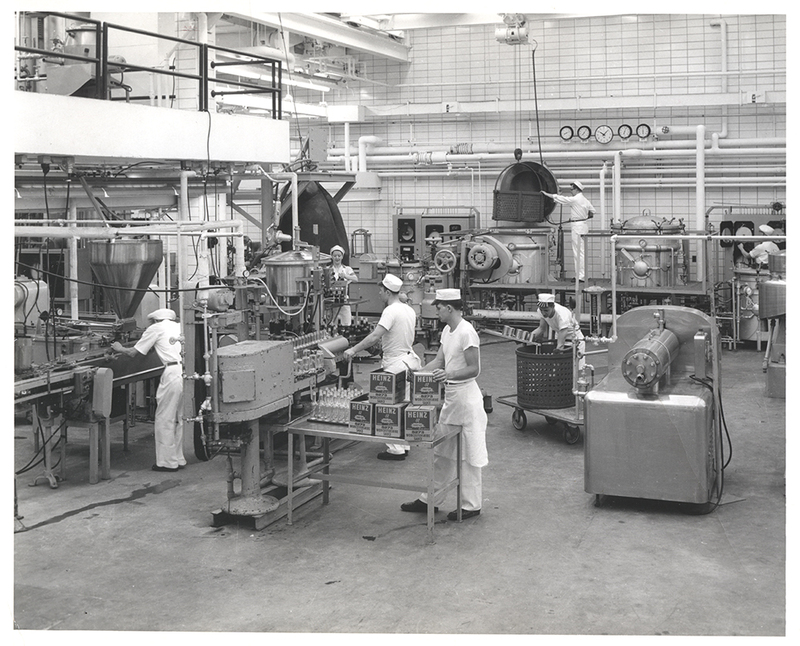 Later images include photographs of Heinz Company executives, products and product displays from the 1950s and 60s. The collection comprises 128 boxes and albums containing gelatin dry plate and acetate negatives, photographic prints, albums and slides. The H.J. 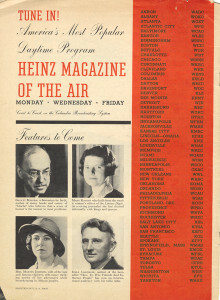 Heinz Company Records include advertisements, label books, catalogs, recipe books, publications, scrapbooks, postcards, reports and correspondence. 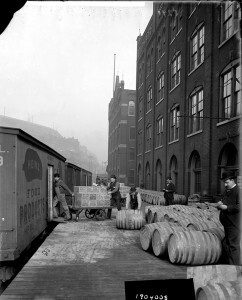 The records primarily document the company’s North American operations between 1920 and 1970. 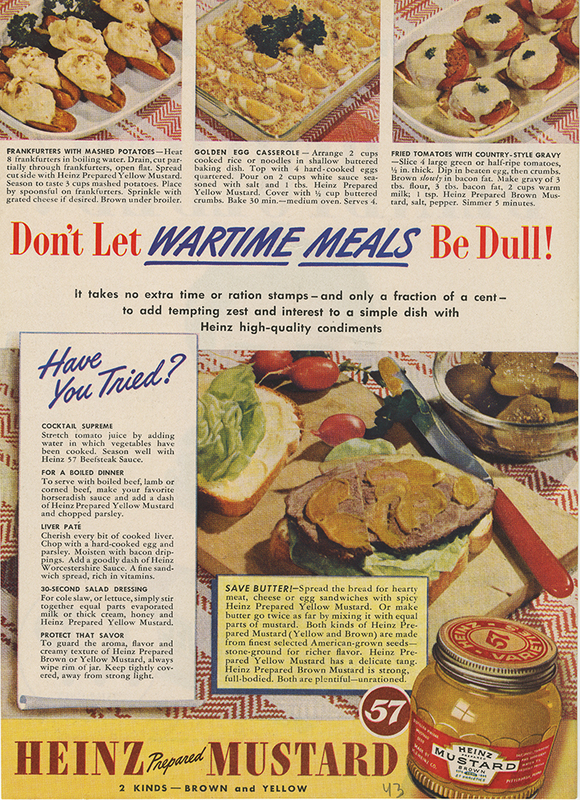 Chiefly represented are production and advertising initiatives, including the company’s participation in public exhibits such as the World’s Fair, and its prolific output of home use and cooking manuals aimed at various demographics. 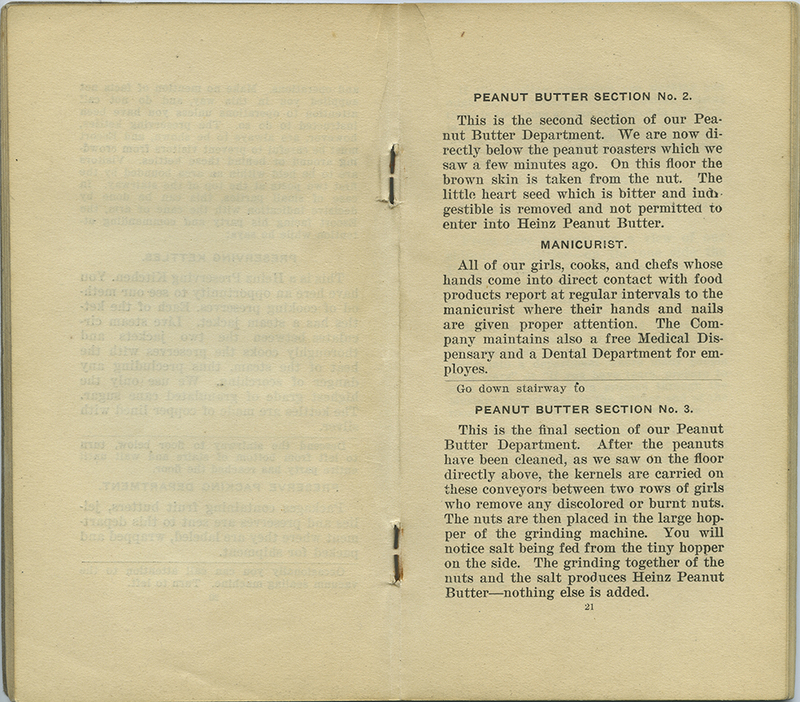 Publications in the collection also reflect the company’s interest in clean food production, employee health and safety, and participation in home front efforts during World War II. Minutes, reports and other documents regarding administration and sales during the early half of the twentieth century comprise the bulk of the collection’s operational records. 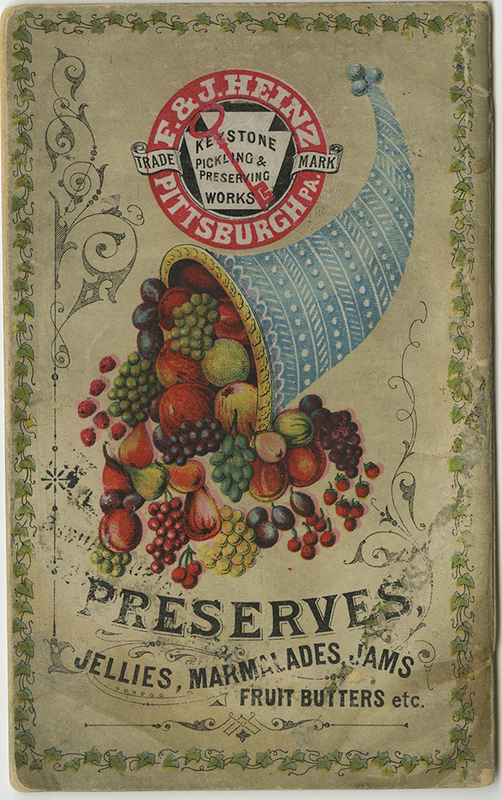 A small amount of materials also document the F. & J. Heinz Company, the Heinz family, and overseas production. The collection comprises 29 boxes and shelf volumes. The H.J. Heinz Company was founded in 1869 by Henry John Heinz (1844-1919). The company began as a producer of horseradish in Sharpsburg, Pa. under the name of Anchor Pickle and Vinegar Works, and later Heinz & Noble. 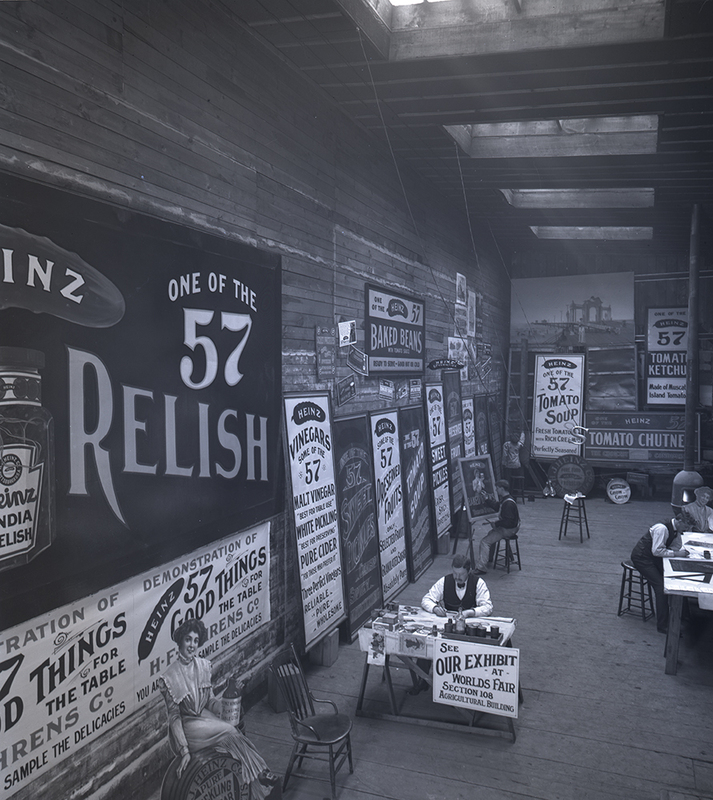 When the business failed after the Panic of 1873, Heinz reestablished the company with financial assistance from his brother John and cousin Frederick in 1876. Tomato ketchup was introduced to the F. &. 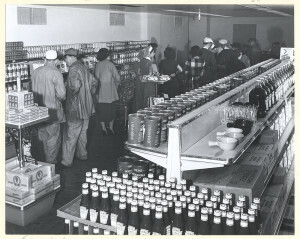 J. Heinz Company product lines later that year, followed by apple butter, pepper sauce, mincemeat, and other preserves. In 1888, H.J. 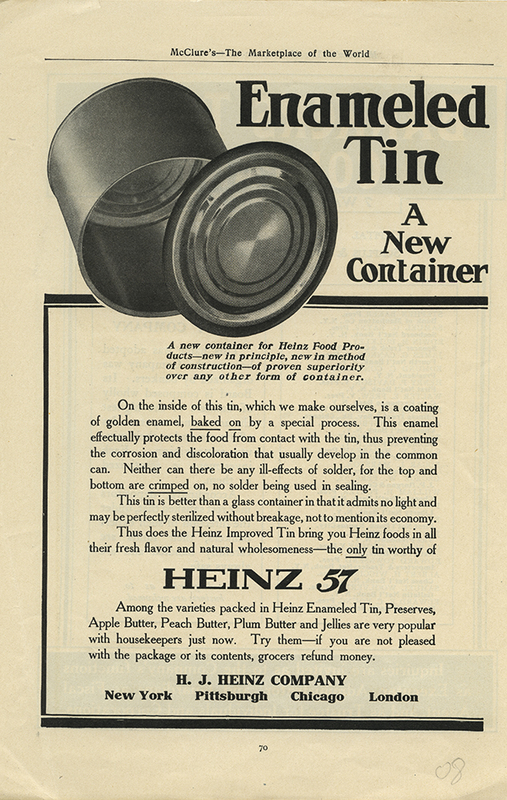 Heinz acquired controlling interest in F. & J. Heinz from John, thus instating the H.J. Heinz Company name. Production continued to expand in the 1890s, with new factories and branches built in Allegheny City, Iowa, New York and Michigan. By 1905, the company had incorporated and opened factories in England and Spain. In addition to lobbying in favor of the Pure Food and Drug Act of 1906, H.J. 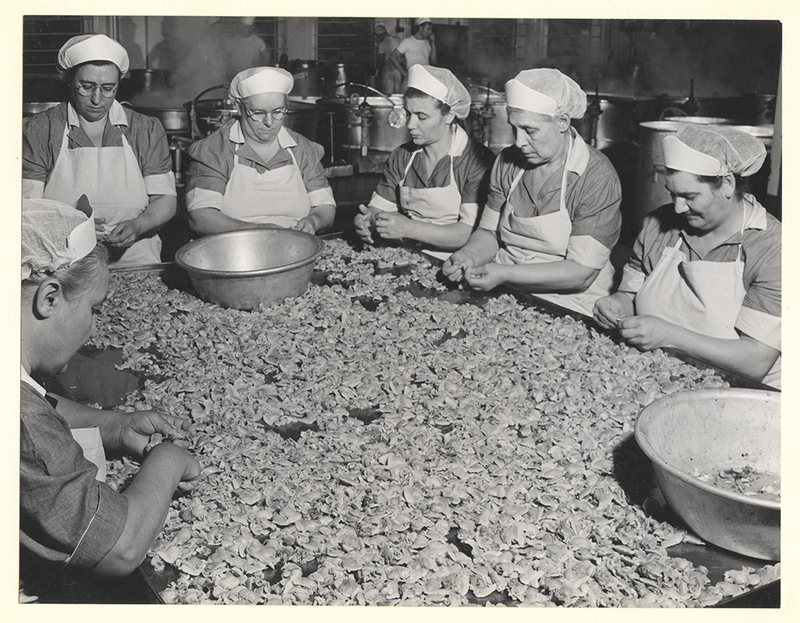 Heinz pioneered efforts to maintain cleanliness and quality in food production. 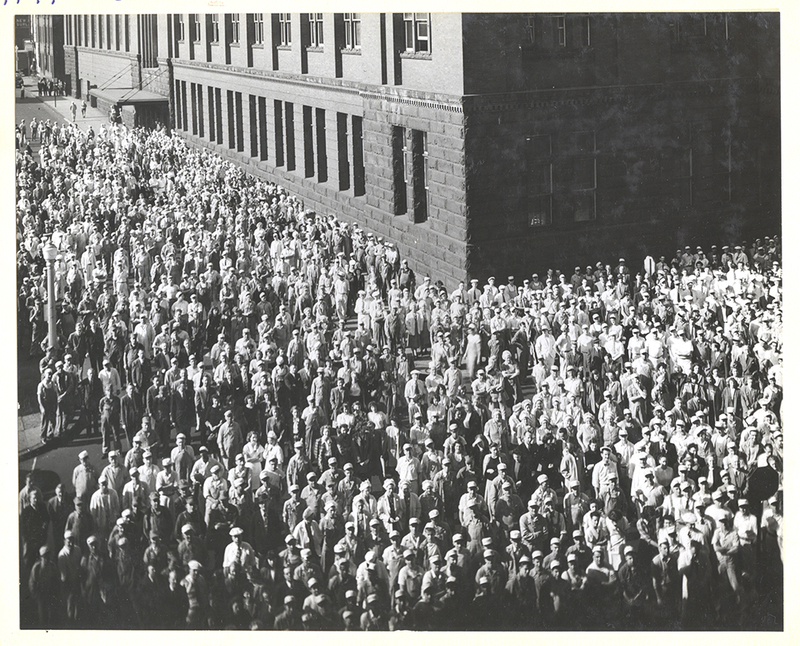 Heinz also took a notably progressive attitude towards employee management, offering use of a roof garden, dining rooms, library and other amenities to his employees. 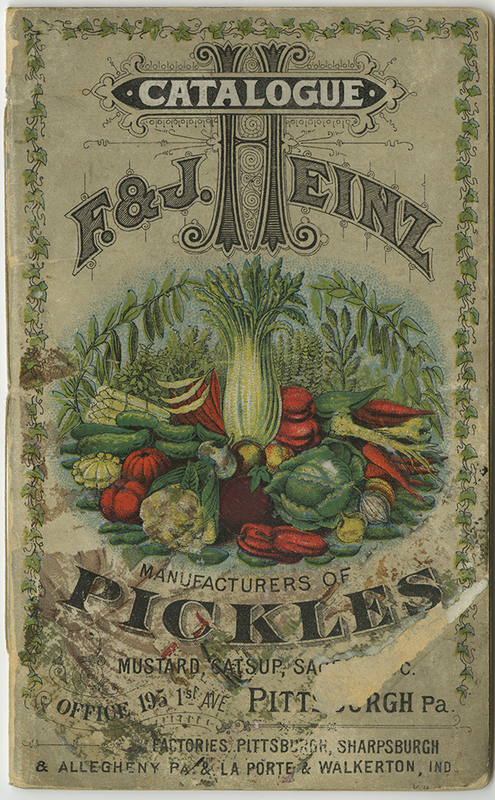 At his death in 1919, Heinz was succeeded by his son Howard as president of the company and its 6,500 employees, 25 branch factories, 85 salting stations, 53 tomato receiving stations, and 111 pickle receiving stations. Both Howard Heinz and his son, H.J. “Jack” Heinz II, retained H.J. Heinz’s commitment to food safety and employee management. The company went public in 1946 under the direction of Jack Heinz. The H.J. 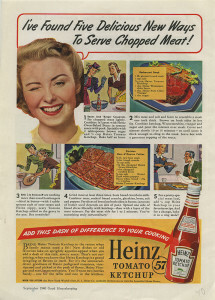 Heinz Company achieved its current status as a global corporation in the second half of the twentieth century, eventually reaching markets in over 200 countries. Designers in the company Sign Shop produce hand-painted and lithographed banners and posters, 1901. H.J. 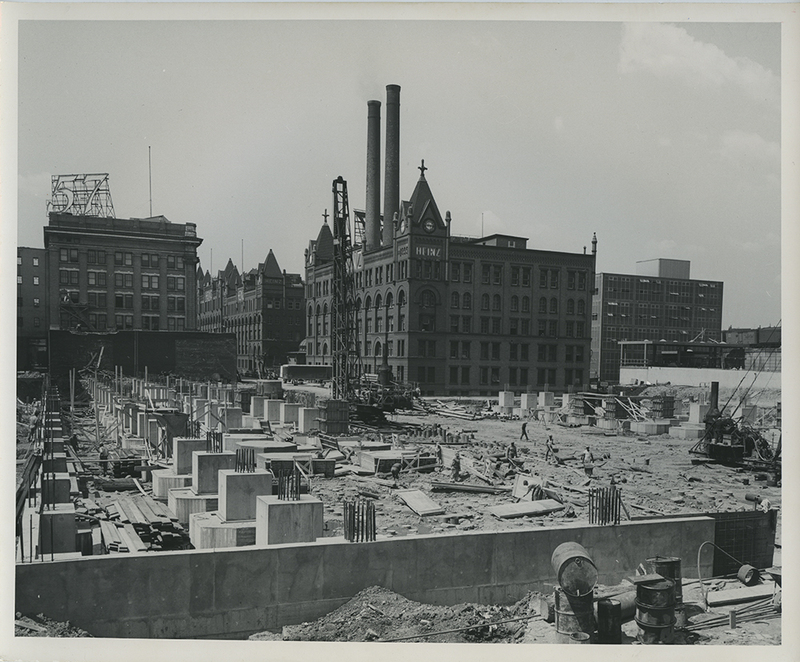 Heinz Company Photographs, MSP 57, Senator John Heinz History Center. 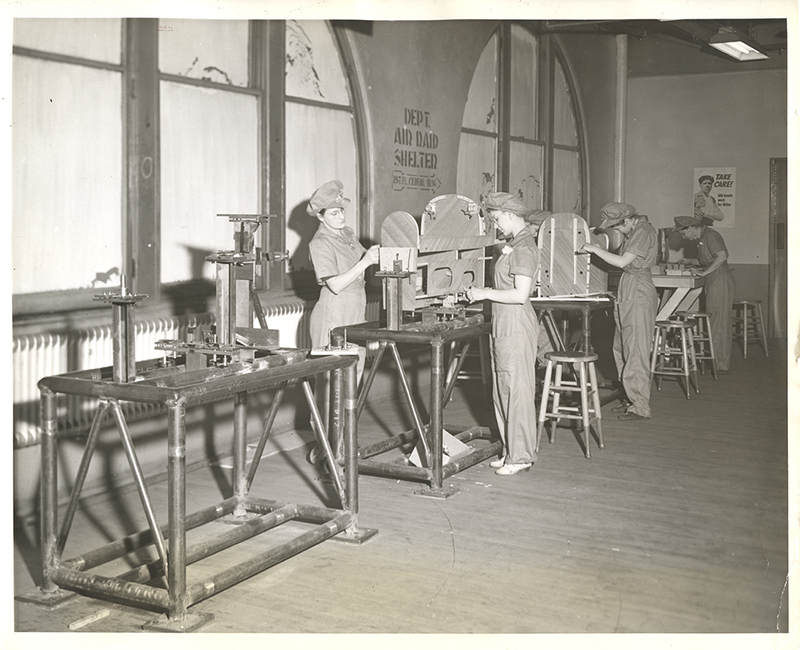 North Side plant employees build glider wings during World War II, 1943. 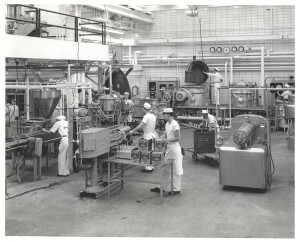 Employees conduct product testing in the newly-built Research Center in Pittsburgh’s North Side, c. 1960 to 1963. The Employee Store at the Heinz Main Plant in Pittsburgh’s North Side, December 1951. 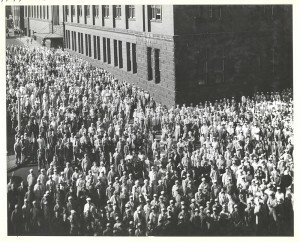 Several hundred employees outside of the Heinz Main Plant in Pittsburgh’s North Side, c. 1946 to 1950. 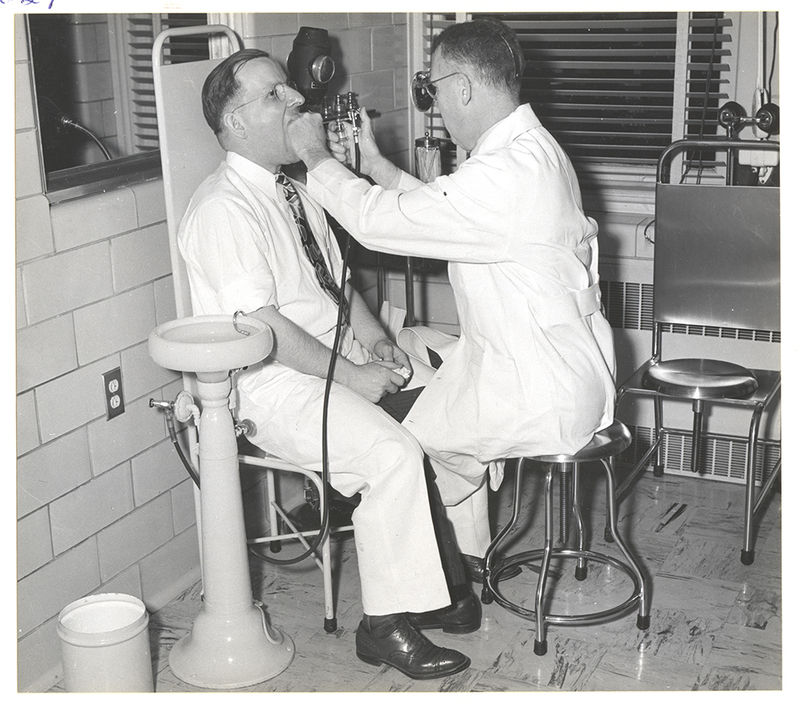 A doctor examines an employee in the company hospital, c. 1946 to 1950. 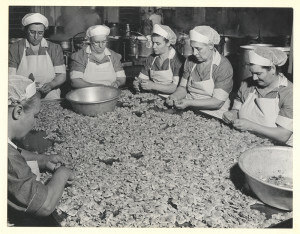 Employees prepare clams to be used in clam chowder, c. 1946 to 1950. 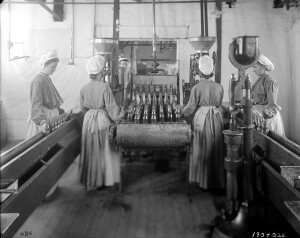 Bottles are processed at the Heinz Main Plant in Pittsburgh’s North Side, 1904. 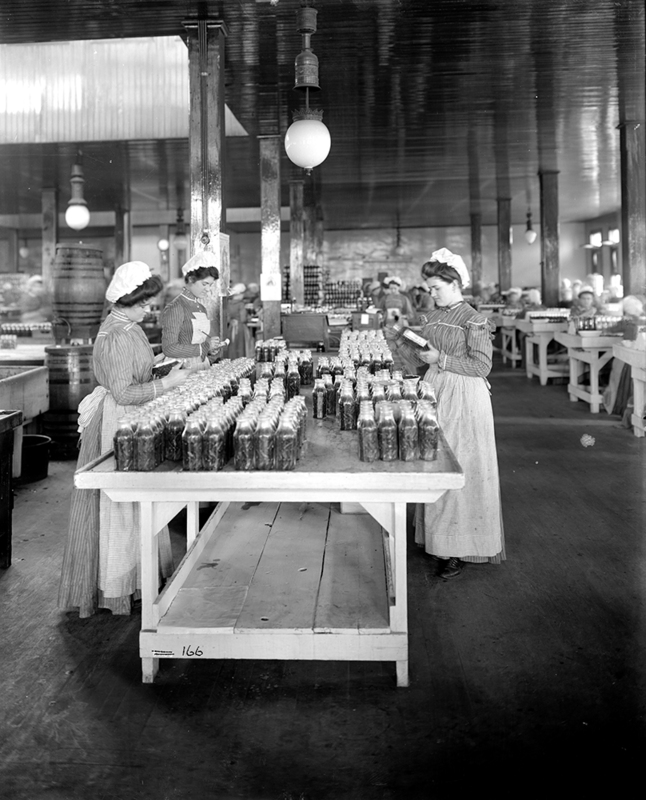 Company-made glass jars under review at an inspection station in Pittsburgh’s North Side, 1905. Loading Chow Chow at the Heinz Main Plant in Pittsburgh’s North Side, 1904. 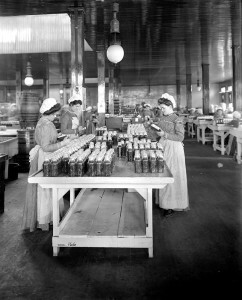 Employees wrap baked bean cans manufactured by the Can Making department of the North Side plant, 1905. 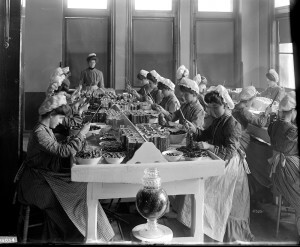 Pickle Bottling department employees pack pickles with wooden paddles, 1904. 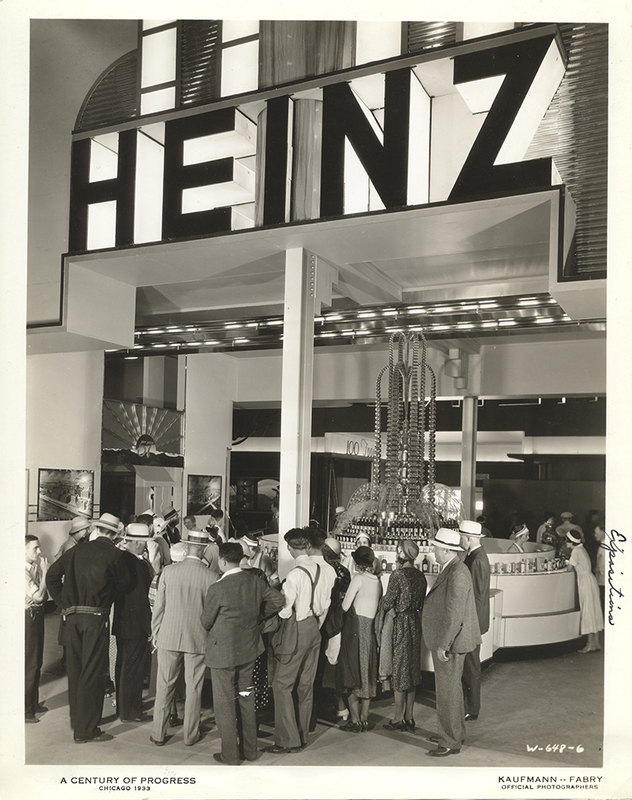 Heinz Company display at the Century of Progress Exposition, Chicago, 1933. An employee oversees the production of a Spaghetti Kneading Machine in the North Side plant, 1946. 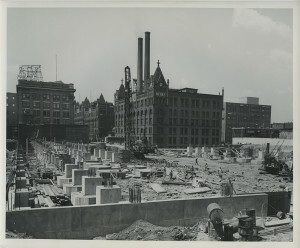 Construction of the Finished Goods Warehouse in Pittsburgh’s North Side, 1951. 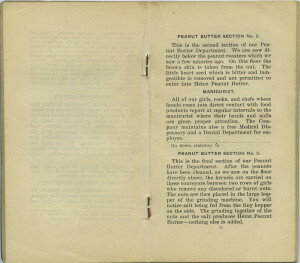 A guide booklet used during public tours of the Heinz Main Plant in Pittsburgh, 1922. 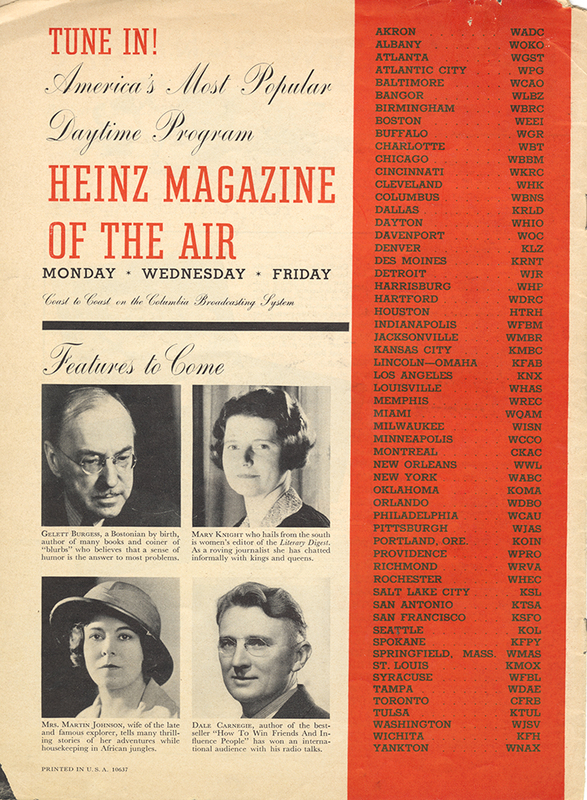 An advertisement for “Heinz Magazine of the Air,” a radio program produced by Heinz which featured interviews, music and a soap opera storyline. 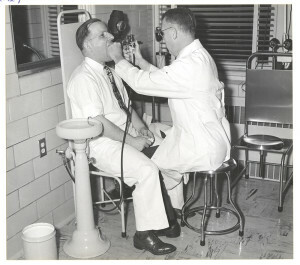 The program aired from 1936 to 1938. 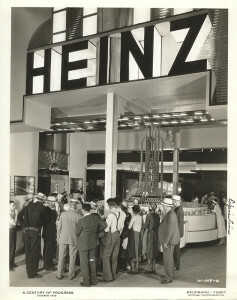 A Heinz advertisement produced during the 1939 Golden Gate International Exposition in San Francisco, one of many fairs at which the company exhibited, 1939. One of several labels used for Heinz’s popular "Happy Soup," c. 1970. 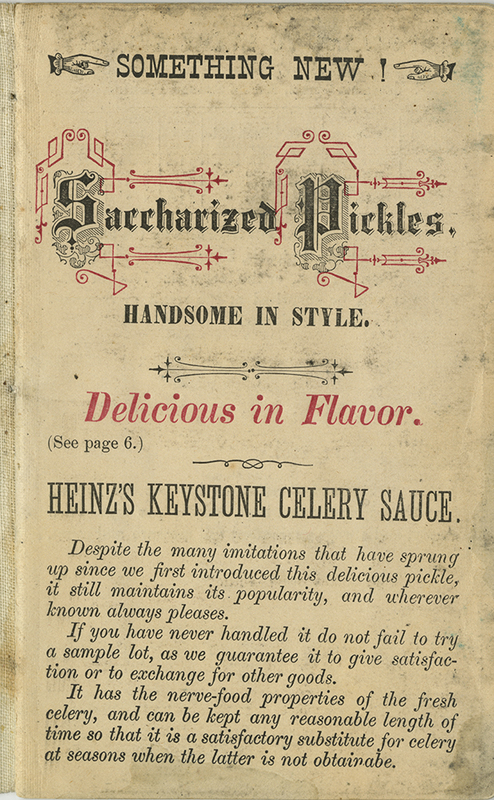 Celery sauce was one of many new offerings added to the Heinz product lines in the 1880s and 1890s, c. 1890. 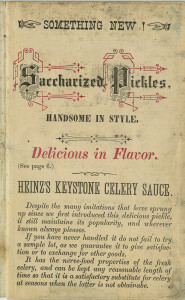 An early version of the familiar Heinz keystone logo, 1885. An early can label for Heinz vegetarian Baked Beans, 1916. 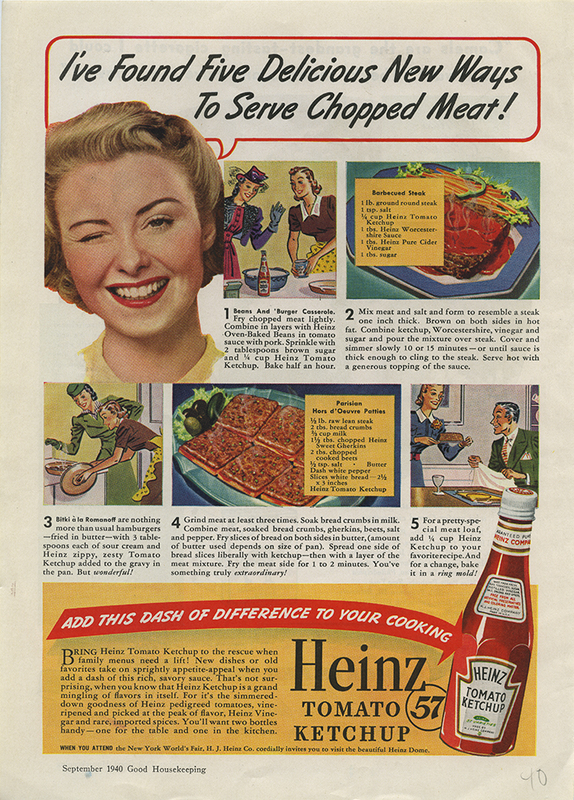 A Heinz Company advertisement in Good Housekeeping magazine, September 1940. 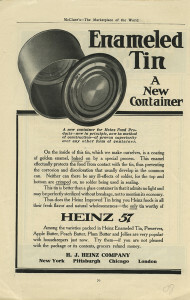 Heinz produced its own product packaging, including tin cans, as advertised in this page of McClure’s magazine, c. 1908. Heinz incorporated ration and food shortage challenges into its wartime advertising campaigns, 1943. 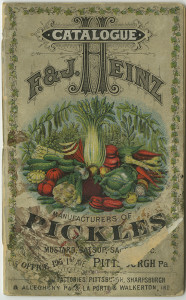 An early product catalog of the F&J Heinz Company, 1885.